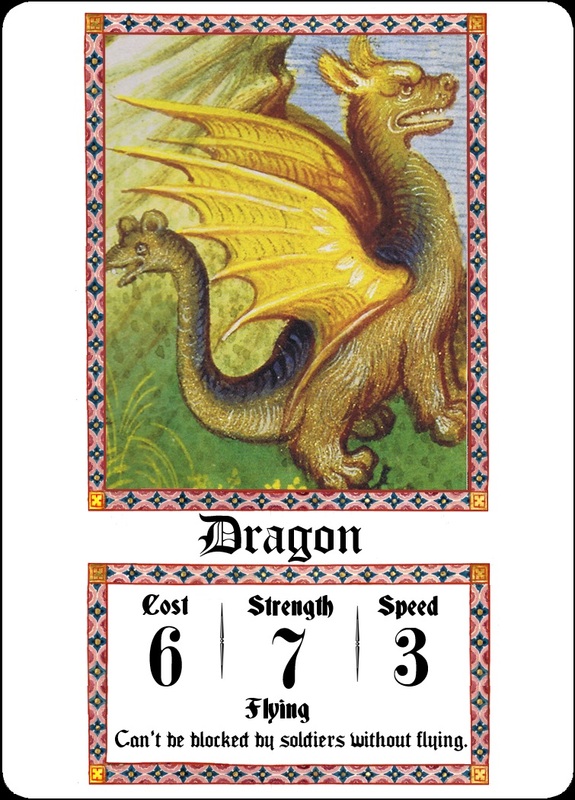 There’s 78 cards in a regular Tarot deck, and Tarot Combat II is based on a regular Tarot deck. There’s 56 playing cards and 22 trump cards. The Character card expansion includes an additional 22 cards that can be added to the deck (for a total of 100 cards). I will explain how the new character cards function and provide free downloads of high resolution images here. This time all the cards count as soldiers. They have no suit, so they can be played for the cost, even if you don’t have a soldier of a certain suit already in play. Also, they count as every suit when they are in play. 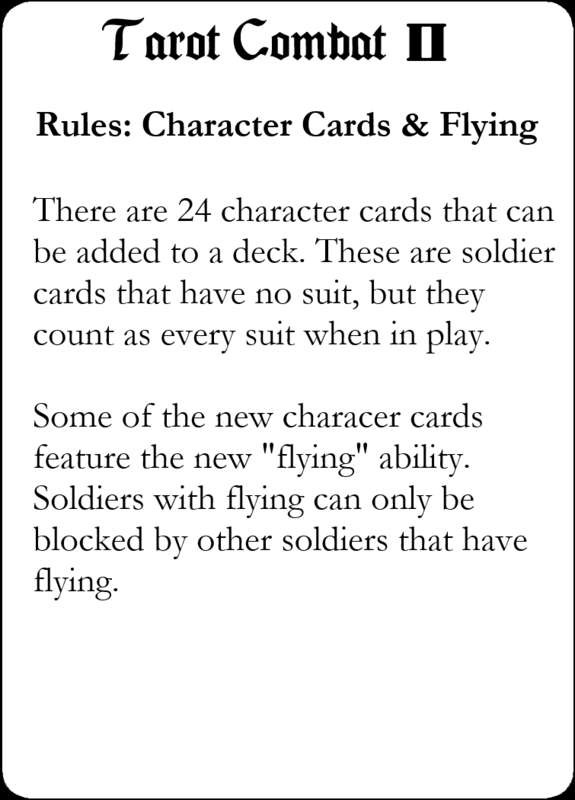 The most important new feature of the character cards is that many of them have flying. Flying characters can only be blocked by other characters that have flying. All the character cards are available here in PDF format. You can right click the images below and select “save as” to download them. 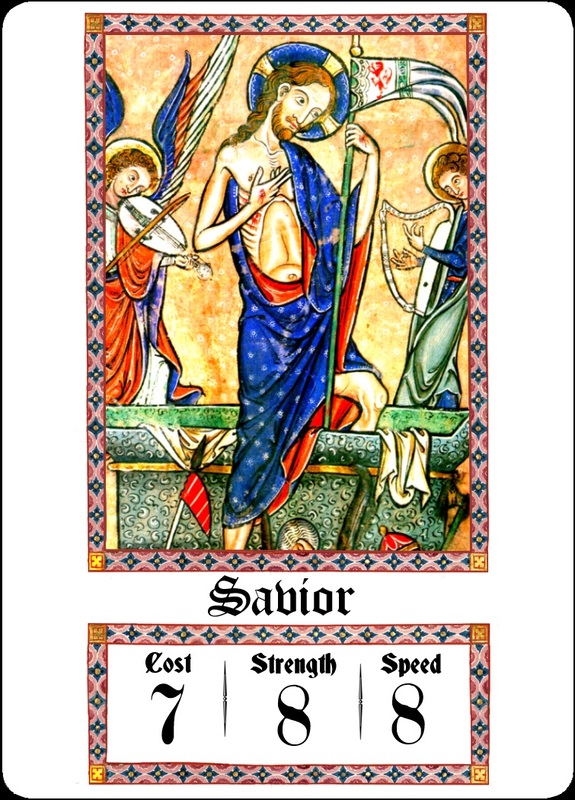 This entry was posted in playing cards, tarot and tagged images, pictures. Bookmark the permalink.